A technical problem at National Air Traffic Service in Hampshire which caused hundreds of flights to be cancelled or delayed has reportedly been fixed. The "glitch", said to be with the telephone system, lasted for around 12 hours at the site in Hampshire, beginning early in the morning and not being resolved until 7.30pm on Saturday. The cancellations and delays occurred across the UK and Ireland, showing just how important travel insurance can be because it can pay for hotel stays or alternative modes of transport when necessary. 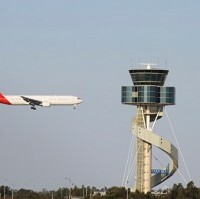 The air traffic centre's night-time operating system is said to have failed to switch over to the daytime version. The system used at night combines areas of airspace because it is not as busy as during the day. Its failure to change is said to have created problems with the telephones used by operators at the site. Officials claim that safety was not at risk while communication was down. In a statement, the National Air Traffic Service said: "The reduction in capacity has had a disproportionate effect on southern England because it is an extremely complex and busy airspace, and we sincerely regret inconvenience to our airline customers and their passengers. "To be clear, this is a very complex and sophisticated system with more than a million lines of software. This is not simply internal telephones. It is the system that controllers use to speak to other ATC (air traffic control) agencies both in the UK and Europe and is the biggest system of its kind in Europe. "This has been a major challenge for our engineering team and for the manufacturer who has worked closely with us to ensure this complex problem was resolved as quickly as possible while maintaining a safe service." The problem disrupted Heathrow Airport the most, cancelling 228 flights, which was around one in every six that day (15%). A Heathrow Airport spokeswoman said: "Today (Sunday) we have 18 cancellations: 11 arrivals and seven departures. And that's mostly due to crew displacement." The other airports around the UK and Ireland are presumed to be now operating as usual.